Are you thinking of teaching English somewhere in Southeast Asia? While it is more common for expats to teach in countries like Japan, South Korea, Taiwan, or China, a lot of people are drawn to the more relaxed lifestyle farther south. There may not be as many financial benefits, but you can still make a decent living as an English teacher in Southeast Asia. Afterall, the advantages of teaching in such a diverse region go far beyond a paycheck. Why should you teach English in Southeast Asia? You can enjoy beautiful weather, sandy beaches, great food, affordable cost of living, and excellent travel opportunities throughout the entire region. The ASEAN countries are within close vicinity of each other, so it makes it very convenient to venture out and explore. Undoubtedly, the most popular areas to teach English in Southeast Asia are Thailand and Vietnam. However, there is still a high demand for teachers in the rest of the region. Requirements for getting hired varies from location to location. Getting a basic TEFL certification will help, while an official TESOL or CELTA certification will open even more doors for you. Many employers require teachers to have a criminal background check from their home country and notarized versions of their degrees. Other places are less strict, but it is important to check the country’s visa sponsorship policies to make sure you have all of your required documents. If you plan to teach in Southeast Asia, you will radically improve your chances of getting a job that you like if you apply in-person. People do get hired from abroad, but it is more common for teachers to fly to the destination first and begin the job search upon arrival. Again, remember to have all of your documents prepared before you leave home. 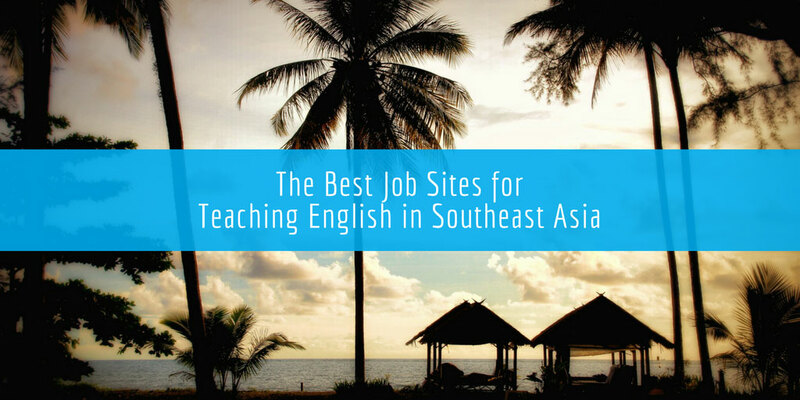 Below is an updated list of the best job sites for Teaching English in Southeast Asia. The list is arranged based on the most popular job boards for each specific country. At the bottom of the page, you can view other site recommendations that feature jobs from a more general perspective for the whole ASEAN region. In Thailand, most teachers find work at private language academies. Other jobs are available at public schools and kindergartens. Typically, the best paying jobs are at the private language institutes or international schools. Though, due to heavier competition with positions at international schools, most teachers tend to get hired by academies. The Ajarn website is the number one resource for teachers looking for jobs in Thailand. If you plan on teaching English in Thailand, this site is going to be your ultimate guide. When you visit the Ajarn job board, you can search for part-time or full-time work. Plus, you can do a custom search based on various factors, such as the area of Thailand, the pay rate, and “employer type” that you prefer. For instance, you can select from government, private, language, and corporate employers. The layout of the site is very user-friendly and easy to navigate. To apply for any position, simply read through the job description and click the apply button. You can sign-up for free and submit your resume directly to the employer. Ajarn is also more than just a job board. The site has a popular blog section, guides for living in Thailand, and course recommendations for getting TEFL certified within the country. The Teaching Thailand website is another excellent source for ESL jobs. There are several positions posted every day on the site and the layout makes it very easy to navigate through them all. On the right-hand column of the job board, you can see how many jobs are available in different regions of Thailand. At the top of the listings, you can select from various tabs that designate the type of employer. This allows you to view jobs available in particular categories, including public schools, private schools, universities, language institutes, and more. To apply for any of the jobs, send your CV to the employer’s email provided in the job descriptions. Vietnam comes a very close second behind Thailand in terms of the most popular destinations to teach English in Southeast Asia. Teaching in Vietnam offers a lot of advantages, like contract completion bonuses, overtime, and higher pay rates compared to the rest of the ASEAN region. Especially, working at an international school in Vietnam can provide a great salary with other financial benefits and perks. If you don’t have much teaching experience, then there are still many opportunities available at language academies and for private tutoring. To find work in Vietnam, there are plenty opportunities listed on the Vietnam Teaching Jobs website. Usually anywhere from 5 to 10 jobs are posted daily. An advantage of their job board is that it allows you to specify the type of teaching position. You can select from academic English, corporate, kindergartens, elementary schools, and more. Plus, you can look for keywords in all of the listings using their search feature. The city and pay rate is also included on the main board. This makes it easier to find what you are looking for. TNH Vietnam is another job site that focuses more on finding employment in Hanoi. There are job listings from other locations, but it is a good source for anyone who would like to teach in the northern regions of the country. At the time of this review, TNH Vietnam had over 50 teaching jobs available in Hanoi. When you visit their site, you can view the number of positions available in other regions too. Most employers list their email in the job descriptions, so you can contact them directly without signing up. In addition to the job board, there is a classifieds section and another category for finding housing in Vietnam. If you are interested in taking the road less traveled by in Southeast Asia, teaching English in Cambodia could be a great alternative. The pay is not as high compared to what you would expect in Thailand or Vietnam, but there are fewer requirements needed to teach in Cambodia. It is not absolutely necessary to have a university degree or even a TEFL certificate. There are not many websites dedicated to listing English teaching positions in Cambodia. However, the Bong Thom site appears to be the best option at the moment. Their job board features a decent amount of recent teaching positions in the country. In the job board section, you can do a search for job titles or browse by positions by category. Teaching jobs are usually posted a few times a week. To apply, you can sign up for free and send your resume to prospective employers. The demand of English teachers in Malaysia has been on the rise over the past decade. Certified teachers can find work at international schools, universities, and public schools. There are also opportunities available at language academies and for private tutoring. Jora is one of the best sites for finding a teaching position in Malaysia. When you are on the site, simply do a search for “teaching English” or other related terms. Several of positions will appear that you can browse through. Generally, 10 to 20 jobs are posted every day. To apply for any of the positions, you can contact the employer directly via email (or phone). There is no need to sign up which makes it more efficient. Not surprisingly, the job market for English teachers in Singapore is quite similar to how it is in Malaysia. In both locations, you would likely be better off working at an international school, university, or public school because of the job security that they provide. However, private language academies can still be a viable option. You should also keep in mind that Singapore is one of the most expensive cities to live in. If you have to settle for a lower paying position, it could be a considerable strain on a tight wallet. Certified teachers shouldn’t have too much of a problem financially though. Indeed frequently has postings for English teachers in Singapore. The site is structured very much like Jora, but has many more listings for positions within Singapore specifically. Again, do a search for “teaching English” or other queries to see what is available. On the left column of the site, you can view the number of full-time, part-time, and contract positions that are listed. Plus, you can see how many jobs are available in different districts of Singapore. If you want to apply for a job, you can read through the job description and follow the links to the employer’s website. Finding work at a private language institute is typically the most common option for foreign English teachers in the Philippines. There are a lot of education centers that focus on preparing students for IELTS and other specialized examinations. These institutions are usually a great place to start your job search. You can also find work at private elementary and secondary schools, but the pay will likely be lower. Private tutoring opportunities are available too. The Job Street website is one of the best job sites for finding English teaching positions in the Philippines. On their homepage, you can do a custom search for “teaching English” or other related phrases. In addition, you can select your preferred location and minimum salary. To apply for a job, you can send the employer an email which is usually included in the job description. In some cases, the schools or recruiters may want you to visit their website and apply from there. As previously mentioned, most teaching opportunities for English teachers are available in Thailand, Vietnam, and the other locations mentioned above. However, it is also possible to find teaching jobs in other ASEAN countries, like Laos, Myanmar, and Indonesia. Unfortunately, at this point in time at least, there are not many job sites purely dedicated to ESL employment in these areas. To find teaching jobs in these other locations, you may have some luck searching other international job boards that have a more global theme. Here are some extra website suggestions that can help with your job search. This list would certainly be incomplete without mentioning Dave’s ESL. On Dave’s international job board there are quite a few jobs teaching English in Southeast Asia. 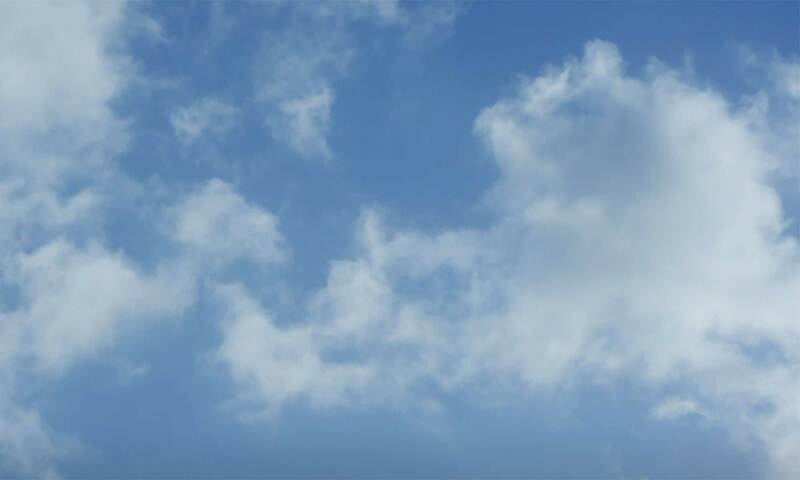 When you visit the international job board on Dave’s site, it is useful to do a page search in your web browser for the country that you are interested in. For example, if you do a search for “Malaysia” in Chrome, then you will see all of the instances of Malaysia highlighted on the entire page from top to bottom. This site is just like it says. You can find English teaching positions all around Asia. There are a decent amount of employment listings on this one. Though, a drawback of the site is that it doesn’t show the actual dates for the job posts. Despite this, it looks like a relevant source for teaching jobs throughout Southeast Asia. The TEFL Search site also features jobs from all around Asia. A large majority of the listings are based in China, but there are opportunities available in Southeast Asia as well. Their sections on Vietnam, Thailand, and even Myanmar have a fair number of listings. ESL Jobs Lounge has a similar amount of job posts as TEFL Search. You can use their keyword feature to find teaching jobs in many locations in Southeast Asia. Their most recent listings are sometimes limited, but you could find something you like on their job board. Do you have tips for finding jobs in Southeast Asia? Please leave your comments at the bottom of the page.